Many decisions go into planting wheat and there are numerous checklists to remind us what we need to do to grow a high yielding crop. Regardless of commodity prices, yield is what makes us profitable every year. Variety selection, maturity dates, seed treatments, and insect and disease management are all important decisions, but probably the most important decision is managing nitrogen applications. Nitrogen is key to proper growth and development of wheat including tiller development. Split applications of nitrogen are necessary for good tiller development. Nitrogen is first applied with 15-40 lb/A either at planting or before the wheat goes into its winter vernalization phase. Wheat needs to go into the winter with a minimum of 3 tillers/plant or 600 tillers/square yard. The second application should be applied in late January or February just as the wheat begins to come out of dormancy and starts to rapidly grow. The second application can range from 80-130 lb/A depending on your needs. Remember, good yielding wheat needs 1.5-2.0 lb of nitrogen per bushel of grain. While correct nitrogen rates are essential for growing high yielding wheat, higher levels can cause injury to the wheat including burn or later increase the potential for lodging. Today, growers have an excellent tool to allow them to push nitrogen rates so they can increase yields and, at the same time, manage wheat plant height which will reduce the potential for lodging that can occur later in the season by adverse weather. Palisade® EC, a plant growth regulator (PGR) from Syngenta Crop Protection, helps to mitigate lodging and improve standability. According to Syngenta documentation, “by shortening the internodes and strengthening the stem through inhibition of cell elongation, Palisade® EC shortens plants, which leads to reduced lodging and improved standability. Because lodging can reduce yield by 10 to 40 percent, an application of Palisade® EC helps protect cereal growers’ valuable crop investments.”1 Palisade® EC also “increases stem thickness and diameter to help strengthen the stem and decrease lodging, which avoids harvest delays, yield loss and reduced grain quality”. Palisade® EC is very flexible and can be tank mixed with most herbicides, insecticides, fungicides and fertilizers, as well as applied in liquid Nitrogen. Application timing is best when Palisade® is applied between Feekes Growth Stages 4 and 7. 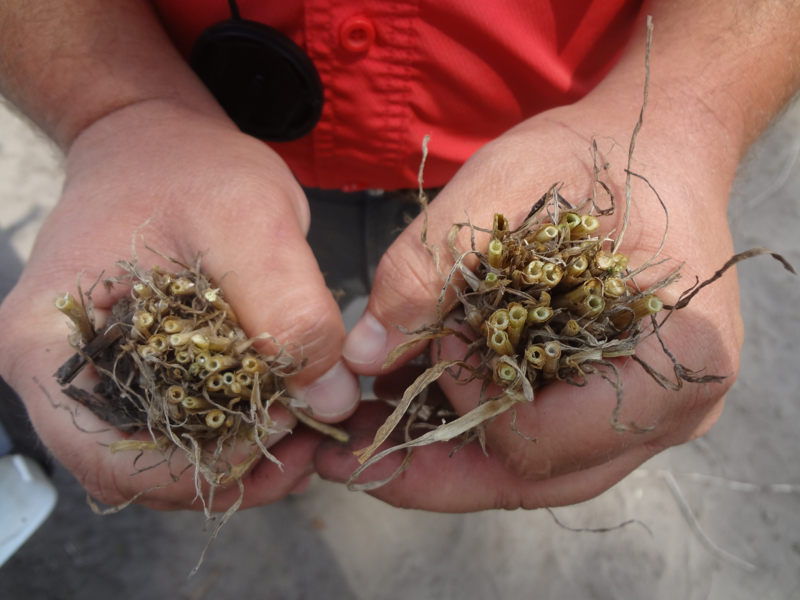 These photos show results from a Coastal AgroBusiness trial. Click on any photo to enlarge. 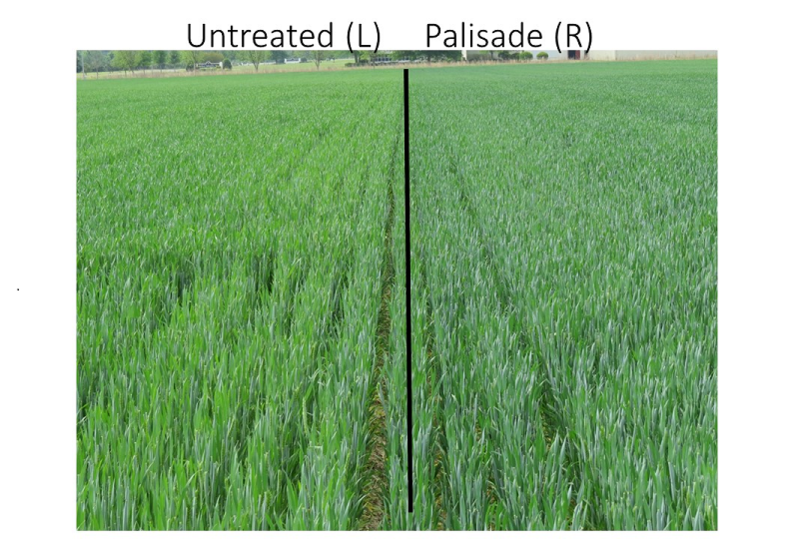 In this test plot, applications of Palisade decreased plant height by an average of 4.6 inches over the untreated area and increased stem diameter by 2%. 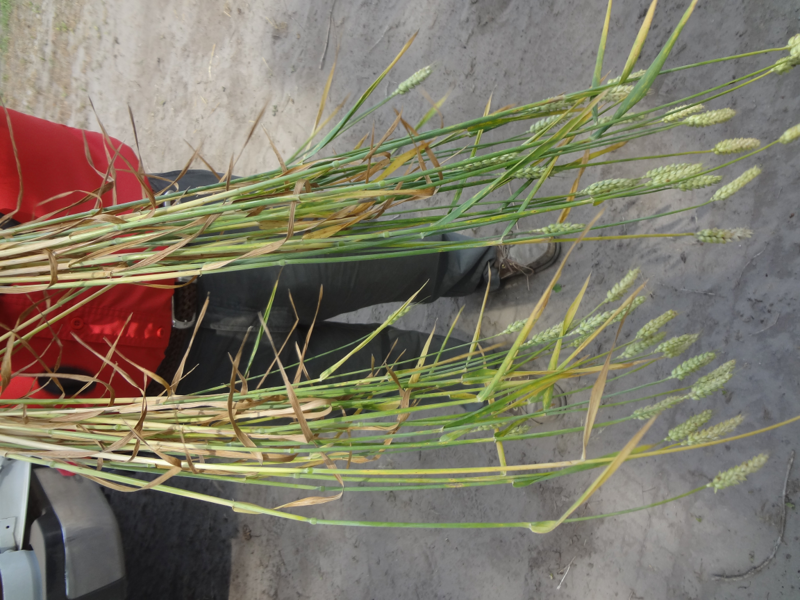 Shorter wheat plants with thicker diameters decrease the chance of lodging. Contact your local Coastal AgroBusiness representative for additional information on application rates and benefits. Important: Always read and follow label instructions. Palisade® and the Syngenta logo are trademarks of a Syngenta Group Company.